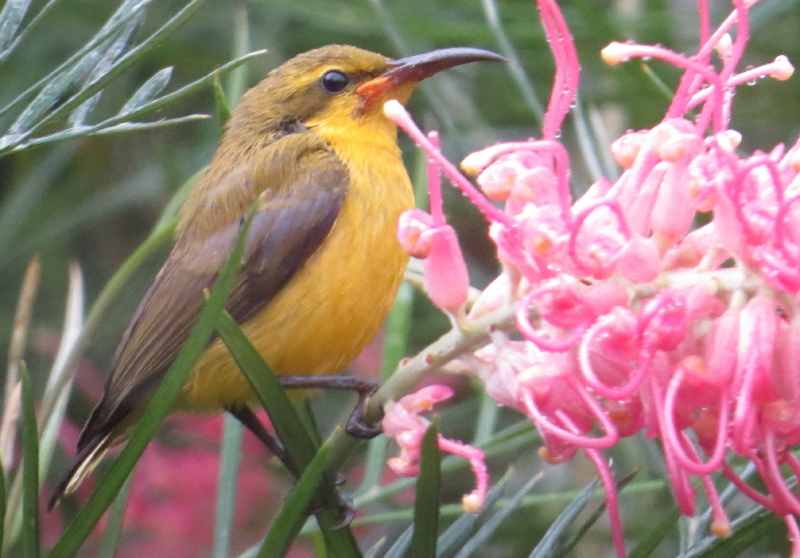 Sunbirds (Nectarinia jugularis) are similar to honey-eaters, but belong to a different family: the Nectariniidae. 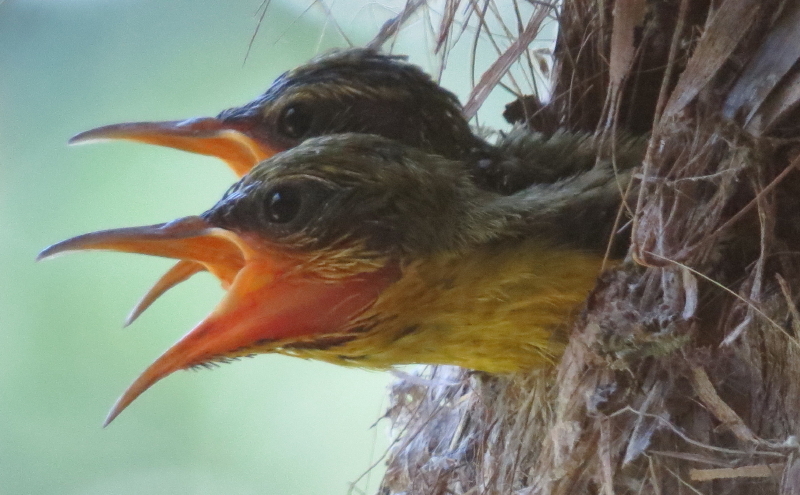 They are easily observed in north Queensland, often calling suburban gardens their home, and attaching their pendulous nests to verandah ceilings. 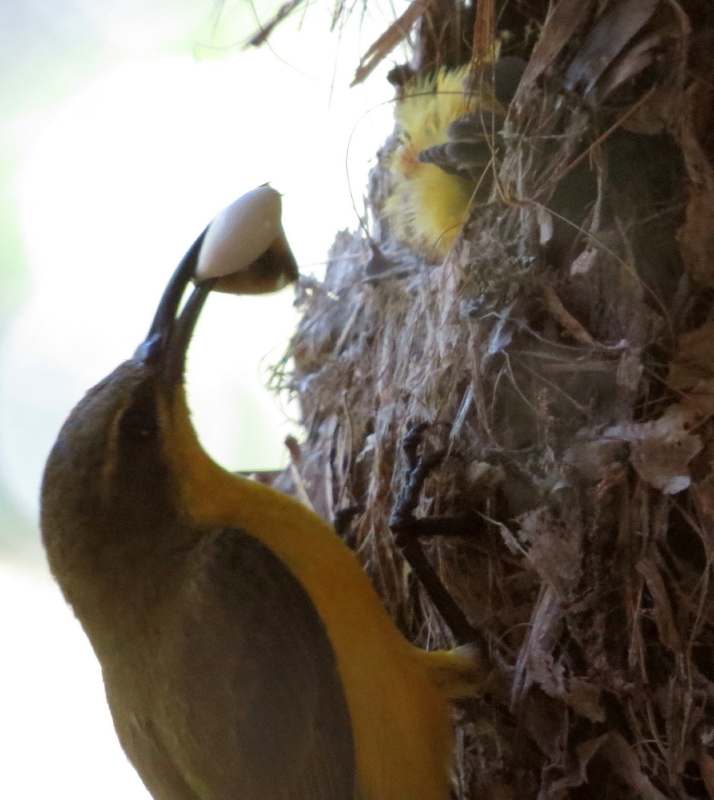 They readily accept a piece of rope , hanging from a timber beam, as the starting point for a new nest. 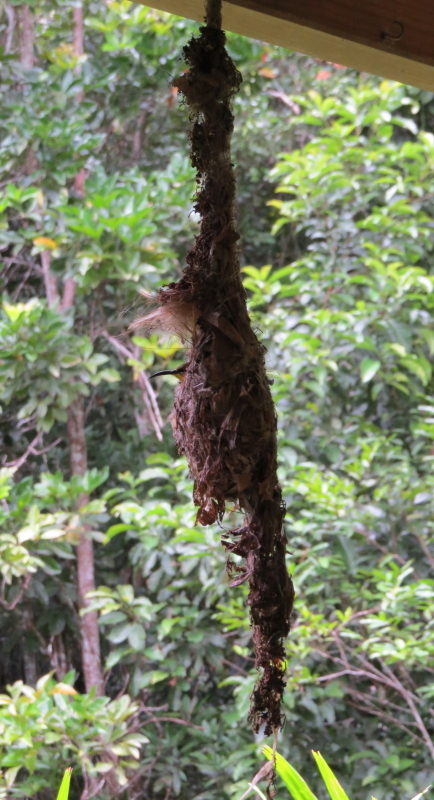 The nest has a side entrance, with a hood over it and a tail under the nest chamber . 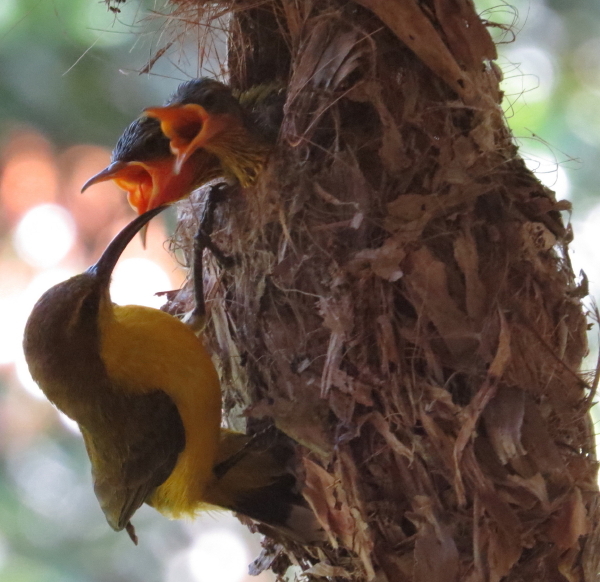 Our resident pair started building (usually he watches, while she constructs the nest) in October, and are now, after some mishaps, into their fourth round of breeding. The female sits on the clutch of 1-3 eggs for 15 days, then both parents feed the chicks for another 15 days in the nest. The most recent fledgling was still begging, while clumsily following its parents around the garden, when the adults started breeding again! 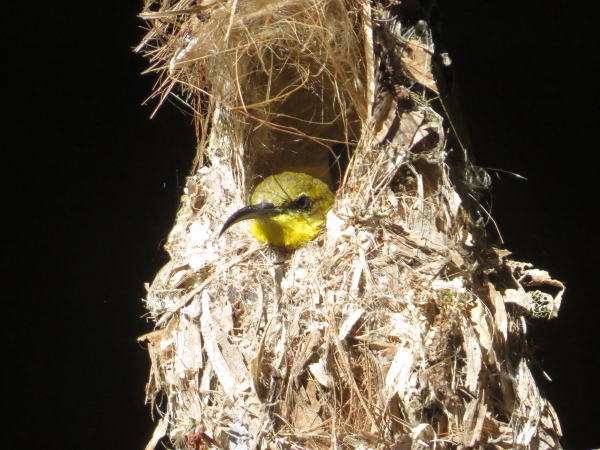 This time, the female decided to use the old nest again, saving herself a few days of construction work. She only reinforced the roof over the entrance, and added some extra lining to the nesting chamber. The black butcherbirds (Cracticus quoyi) are also having offspring, and they often prey on sunbirds. 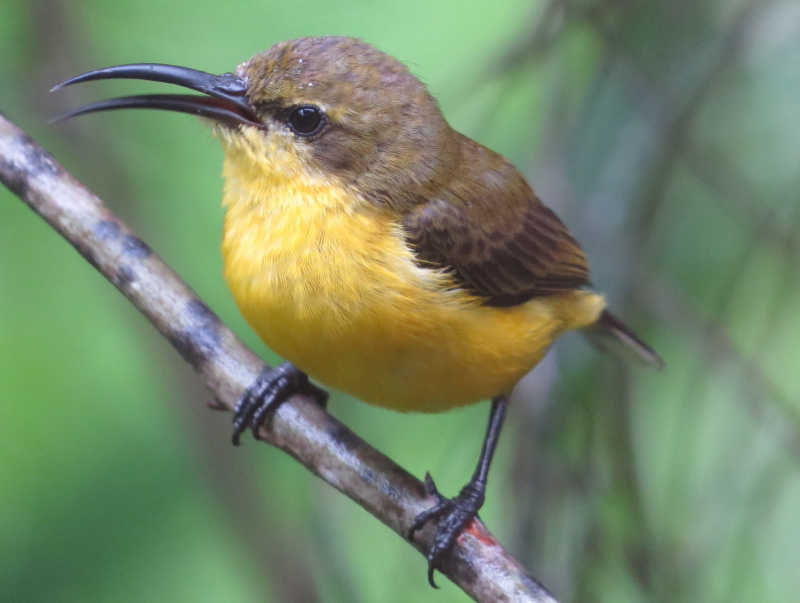 The sunbirds’ behaviour of calling loudly near the nest before returning to it, does not seem to be very smart, as it might attract the butcherbirds. 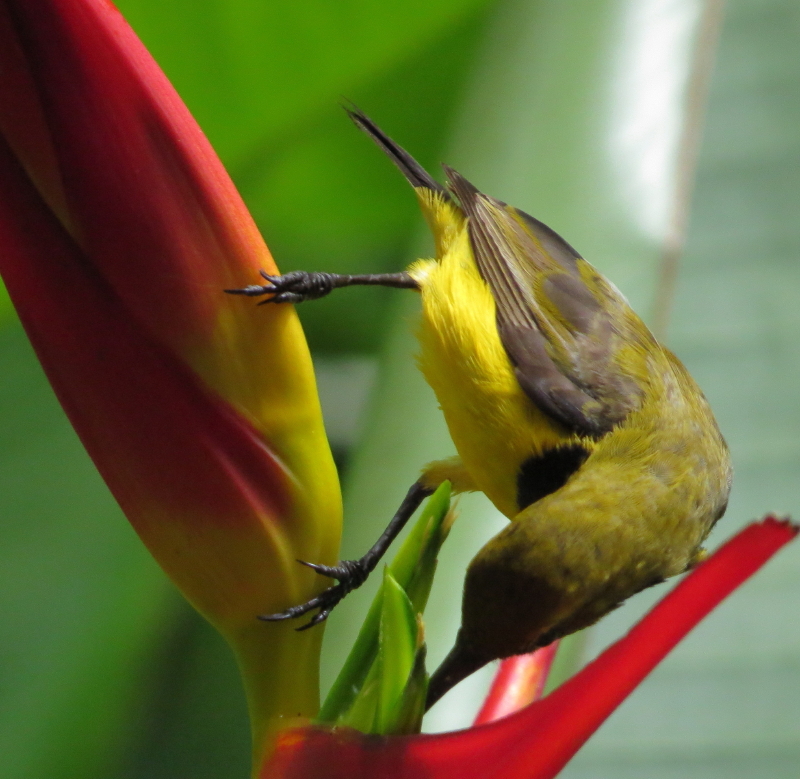 After 55 days of presumably sitting on eggs, dad returned to our garden without offspring. Quite possibly the wild pigs got to the eggs just before they were due to hatch! Sadly this is our first season without cassowary chicks . 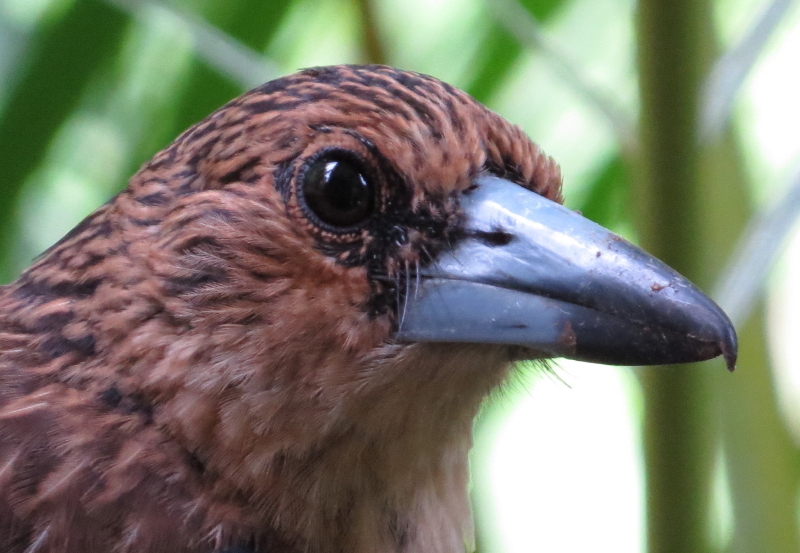 The Noisy Pittas (Pitta versicolor) are living up to their name, and seem to be all over the forest. 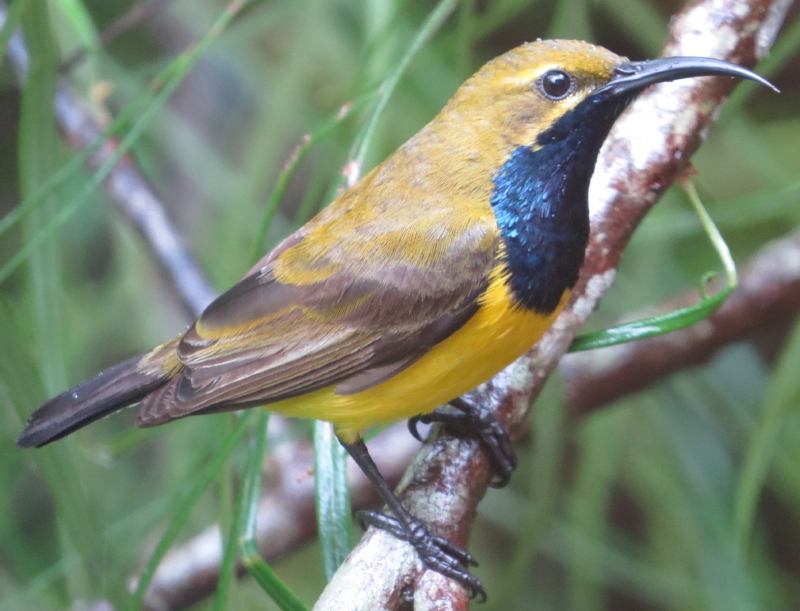 So are the chowchillas (Orthonyx spaldingii). The Red-necked Crakes (Rallina tricolor) are very active, with 3 chicks in tow. The Buff-breasted Paradise Kingfishers (Tanysiptera sylvia) inspected and test-drilled some of our termite mounds, but decided to breed across the creek from us. A Lesser Sooty Owl (Tyto multipunctata) seems to have taken up residence here, calling most evenings and again early in the morning.